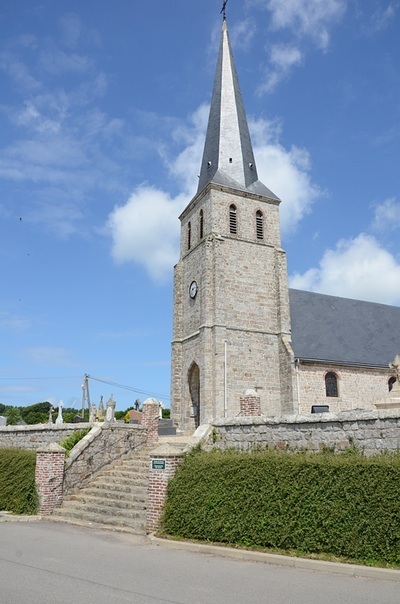 Manneville-ès-Plains is a village and commune 30 kilometres west of Dieppe, 4 kilometres south-east of St. Valery-en-Caux, and 1 kilometre south of the N.25 road from St Valery to Dieppe. In the churchyard, near the north-west corner of the church, are the graves of 6 soldiers of the British army. 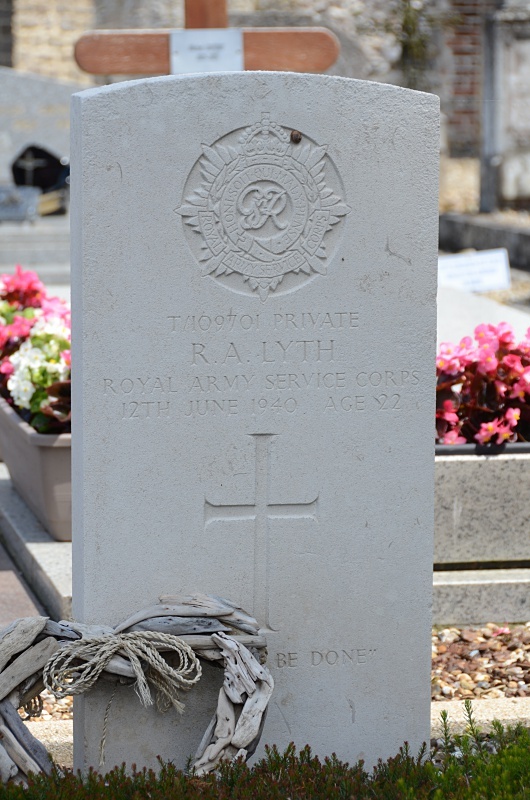 T/109701 Private Robert Arthur Lyth, Royal Army Medical Corps, died 12th June 1940, aged 22. Son of Arthur and Clara Helen Lyth, of Sleights, Yorkshire. 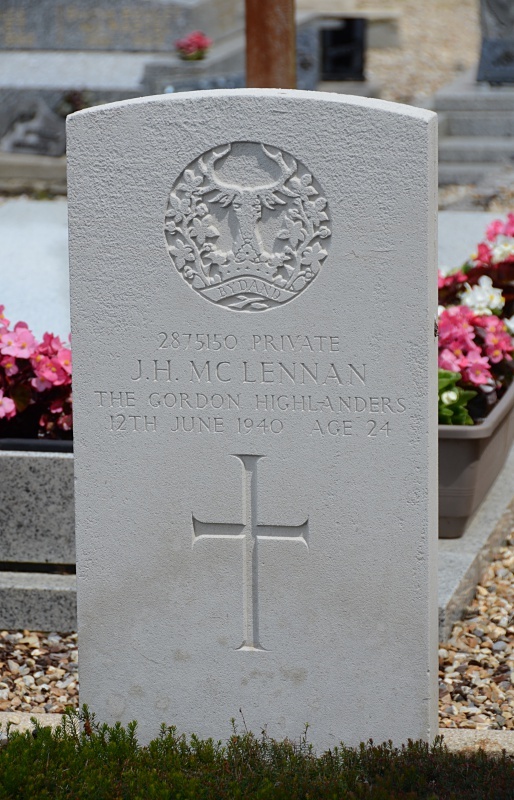 2875150 Private John Hector McLennan, 5th Bn. Gordon Highanders, died 12th June 1940, aged 24. 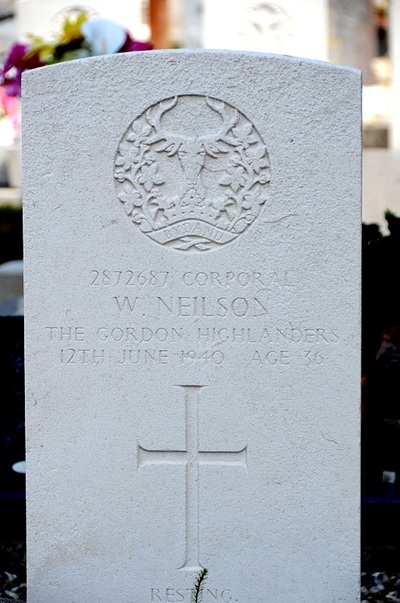 2872687 Corporal William Neilson, 5th Bn., Gordon Highlanders, died 12th June 1940, aged 36. Son of James and Christina Neilson, of Ellon; husband of Gladys Neilson, of Aberdeen. 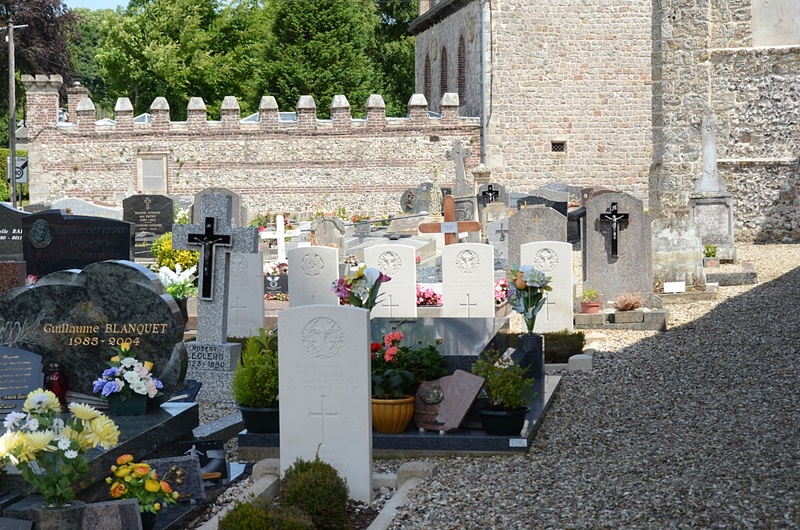 His brothers Charles and Rolland, both fell serving in the same unit during the 1914-18 War. 2875642 Private Duncan Reid, 5th Bn. 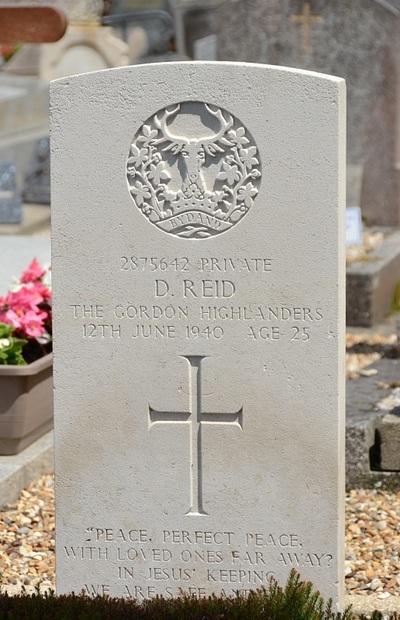 Gordon Highlanders, died 12th June 1940, aged 25. Son of John G. Reid, and of Agnes S. Reid, of Bucksburn, Aberdeenshire. 2878470 Private George Alexander Rennie, 5th Bn. 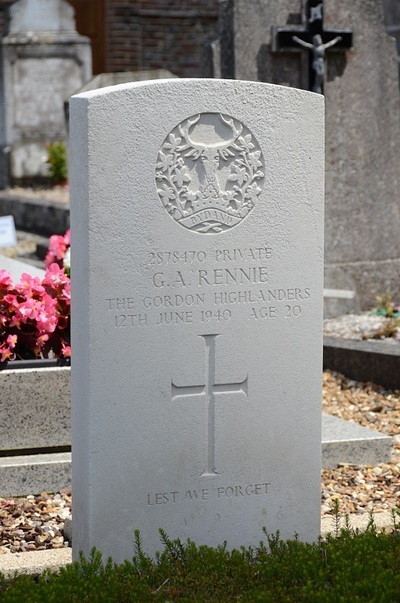 Gordon Highlanders, died 12th June 1940, aged 20. Son of John and Lizzie Rennie, of Kemnay, Aberdeenshire. 2866870 Private Patrick Baine Stewart, 5th Bn. 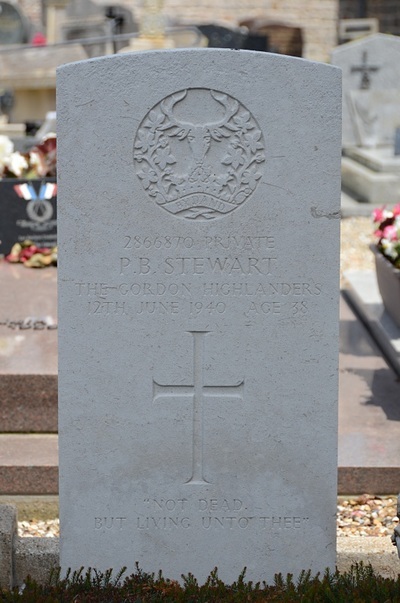 Gordon Highlanders, died 12th June 1940, aged 38. Husband of Mary Stewart, of Aberdeen.